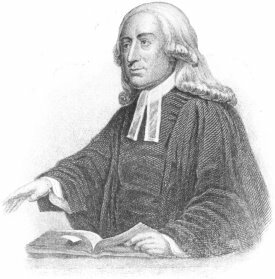 John Wesley’s last letter was written to William Wilberforce. He wrote it on February 24, 1791. He died eight days later. For those who might be unaware, William Wilberforce was instrumental in ending the slave trade in England and its colonies. Unless the divine power has raised you us to be as Athanasius contra mundum,(1) I see not how you can go through your glorious enterprise in opposing that execrable villainy which is the scandal of religion, o f England, and of human nature. Unless God has raised you up for this very thing, you will be worn out by the opposition of men and devils. But if God be fore you, who can be against you? Are all of them together stronger than God? O be not weary of well doing! Go on, in the name of God and in the power of his might, till even American slavery (the vilest that ever saw the sun) shall vanish away before it. Reading this morning a tract wrote by a poor African, I was particularly struck by that circumstance that a man who has a black skin, being wronged or outraged by a white man, can have no redress; it being a “law” in our colonies that the oath of a black against a white goes for nothing. What villainy is this? (1)“Athanasius contra mundum” means Athanasius against the world. Athanasius of Alexandria (c. 296-373 AD) was a early church father who fought against Arianism (an early Church heresy that taught Jesus was a subservient and created being).